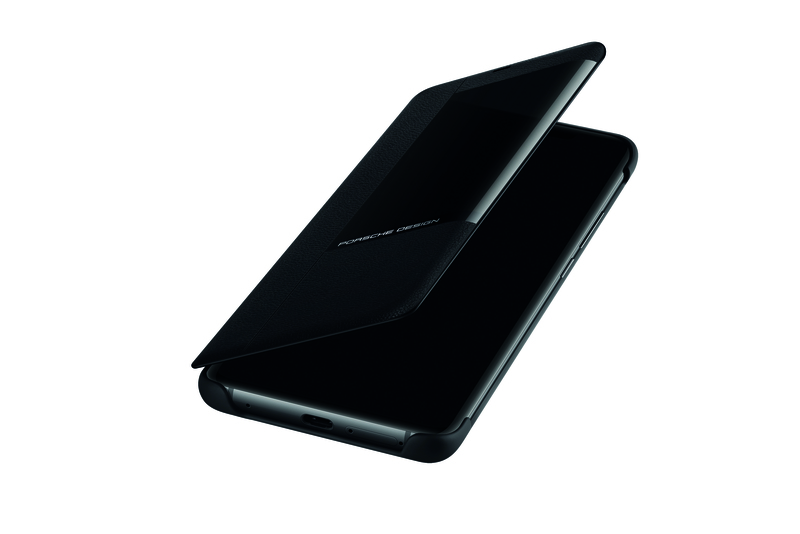 Porsche Design and Huawei Consumer Business Group (BG) unveiled the new PORSCHE DESIGN HUAWEI Mate 20 RS Series smartphone, the latest mobile luxury device created through the collaboration between Porsche Design and Huawei. As the fourth handset to join the exclusive line-up, PORSCHE DESIGN HUAWEI Mate 20 RS continues the tradition set by its predecessors, blending state-of the-art technology with uncompromising design. Inside, it has one of the world’s most powerful chipsets, the newest Kirin 980, supporting industry-leading performance and AI capabilities. The extreme performance is encased within an automotive inspired chassis, the back of which is accentuated with genuine leather for a premium hand feel. 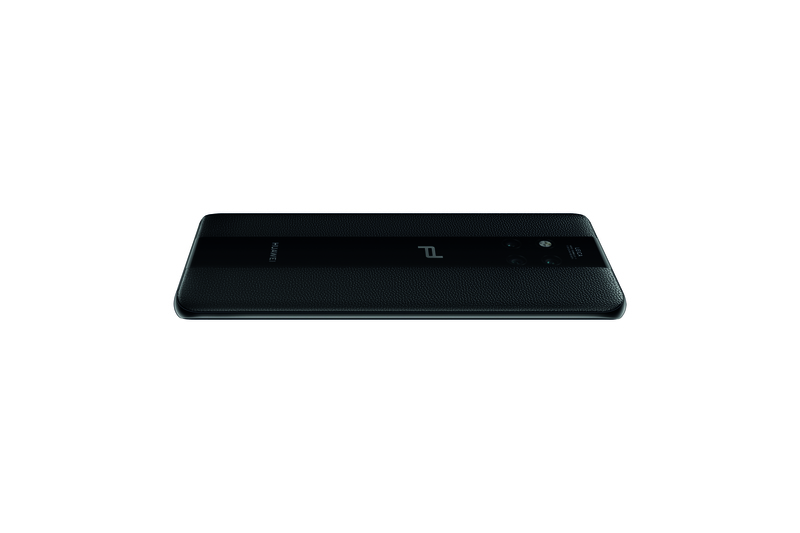 The all-new device represents the pinnacle in mobile luxury and mobile AI, expressed in a timeless functional design. 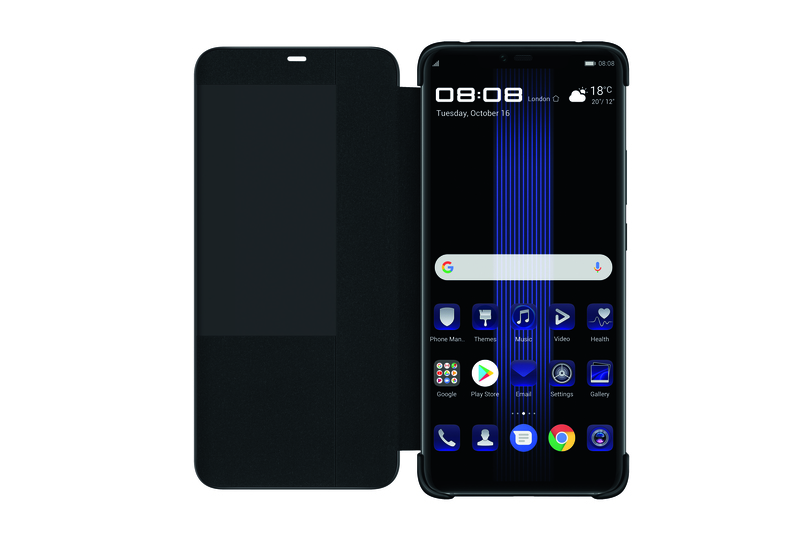 The two companies collaborated to design the chassis of the new PORSCHE DESIGN HUAWEI Mate 20 RS. Rounded on the sides with bold, aesthetically pleasing curves, the device reflects its high level of performance in its outside appearance. 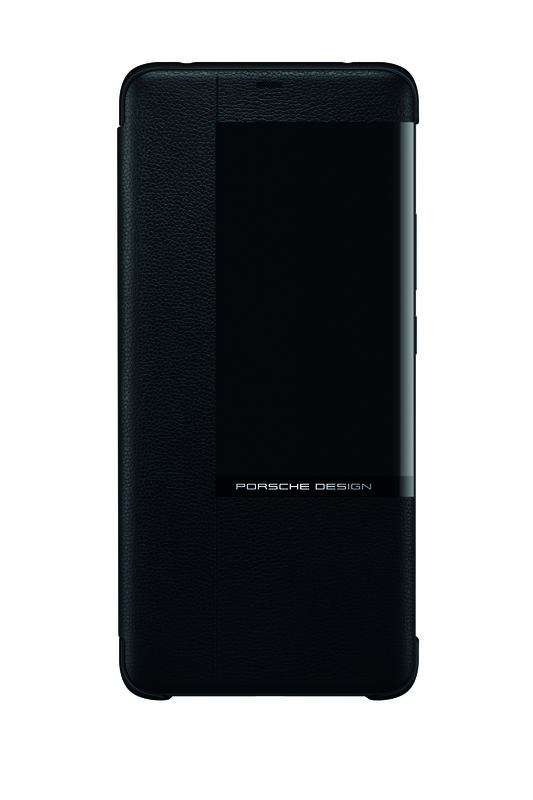 The iconic automotive design element is incorporated into the back of the PORSCHE DESIGN HUAWEI Mate 20 RS—a device with the Rennsport “RS” designation—with a luxury twist. The PORSCHE DESIGN HUAWEI Mate 20 RS racing stripe motifs are put together with all-natural leather and glass. 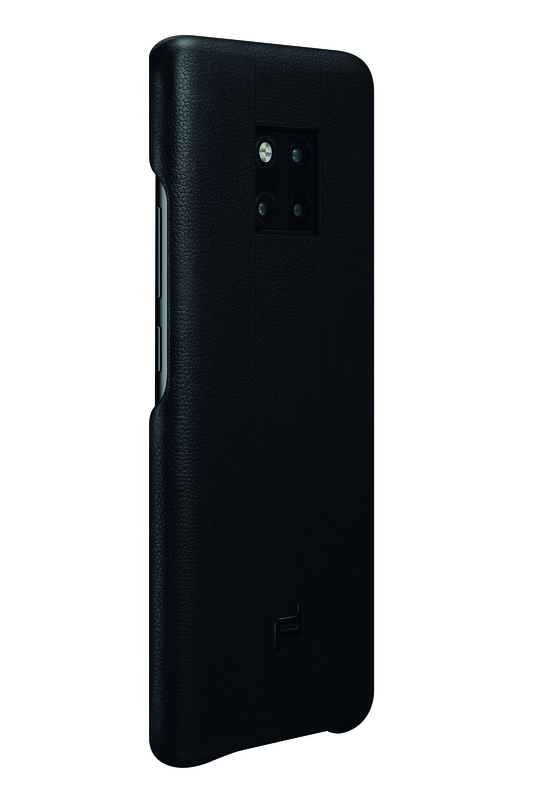 Aligned vertically at the back of the device, the unique design provides a sporty, striking contrast that is instantly recognizable—the leather sides add a natural, personal touch to the design, symbolizing the consumer-centric ethos that drives Porsche Design and Huawei, whilst giving a more luxurious look to the device. Together with perfectly rounded edges, the soft natural leather ensures a firm, ergonomic grip and premium touch that evokes the feeling of complete control. 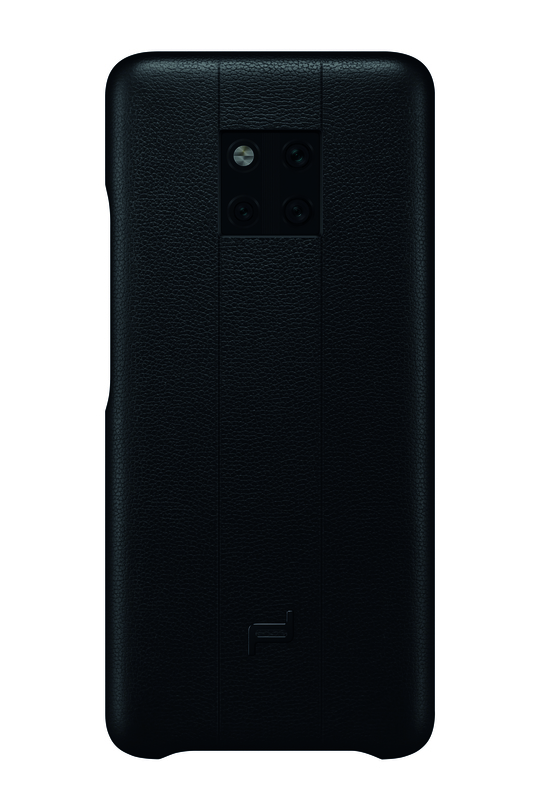 The handcrafted semi-aniline top grain leather integrated into the design of PORSCHE DESIGN HUAWEI Mate 20 RS is soft yet highly durable, able to withstand the wear and tear of everyday use. Being a product of passion and ingenuity, this device is a celebration of craftsmanship and innovation. 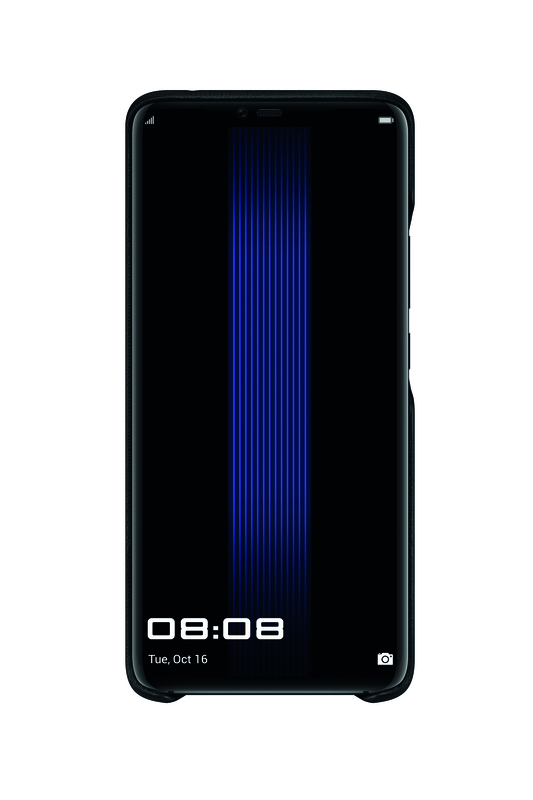 The PORSCHE DESIGN HUAWEI Mate 20 RS is powered by a high-performance chipset—Kirin 980, which is manufactured using the cutting-edge 7nm process. With the Dual-NPU, the new Kirin chipset enables the smartphone to strike the perfect balance between high performance and state-of-the-art power efficiency, even when running at full throttle. The Kirin 980 is also the world’s first commercial SoC to use Cortex-A76-based high performance cores. The Cortex-A76-based cores work in concert with high efficiency Cortex-A55 cores to deliver blazing fast performance. Meanwhile, the Mali-G76 GPU drives maximum graphical performance for all use cases. 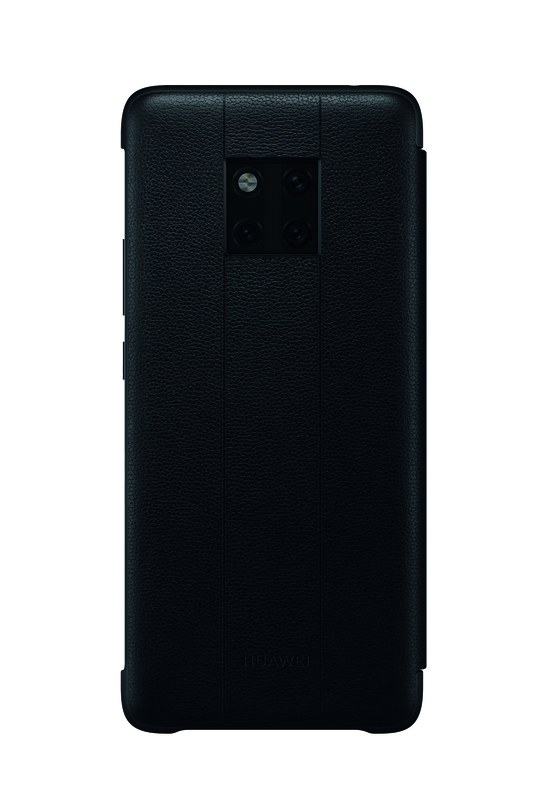 Separating the two leather stripes at the back of the device is a pane of glass, which highlights the technology aspect of the PORSCHE DESIGN HUAWEI Mate 20 RS. The all-new Leica Triple Camera, comprised of a 40MP main camera, a 20MP camera with Leica Ultra Wide Angle Lens and an 8MP telephoto camera, is nestled stylishly underneath the glass. The camera system is arranged in a two-by-two matrix that captivates its viewers as it captures them. It comes with a brand new capability: macro distance. Users can get as close to an object as 2.5cm from the lenses and capture vivid details with an ultra-sharp focus. Leveraging the AI capabilities of the Dual-NPU embedded in the Kirin 980, PORSCHE DESIGN HUAWEI Mate 20 delivers AI experiences via EMUI 9.0, Huawei’s Android P-based operating system. HiVision, a new feature coming with EMUI 9.0, gives users a smart encyclopedia that fits in their pocket. Pointing a camera towards famous paintings and landmarks reveals their rich history—an especially handy feature for jet-setting globetrotters on their adventures. 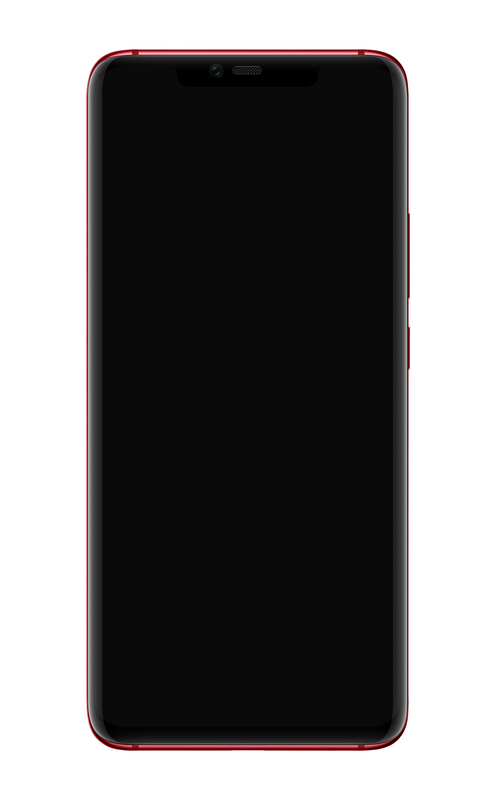 The PORSCHE DESIGN HUAWEI Mate 20 RS features an In-Screen Fingerprint sensor. Huawei has evolved the design of its sensor with Dynamic Pressure Sensing Technology to achieve improved success rate and up to 30 percent better recognition speed. The device displays a prompt whenever it detects a finger is hovering above the sensor. Once the authentication process is complete, the unobtrusive prompt quickly disappears into the background. Furthermore, it is equipped with a 3D Face Unlock solution, which, through mapping a user’s face s, enables the device to accurately read the face of a user. 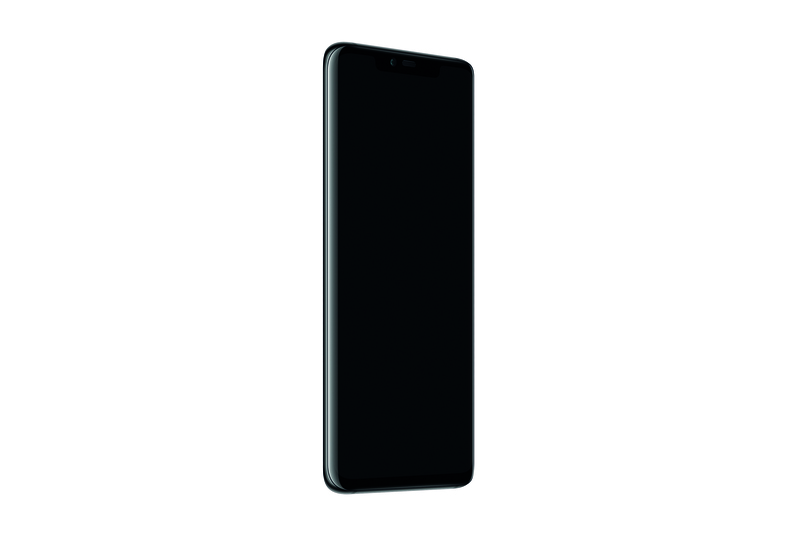 The sophisticated sensors and Dual-NPU-powered AI enable 3D Face Unlock to identify a user quickly (under 0.6s) and work across a broad range of lighting conditions, including in pitch-black darkness. Moreover, 3D Face Unlock authenticates users at a false acceptance rate of below 1/1,000,000. 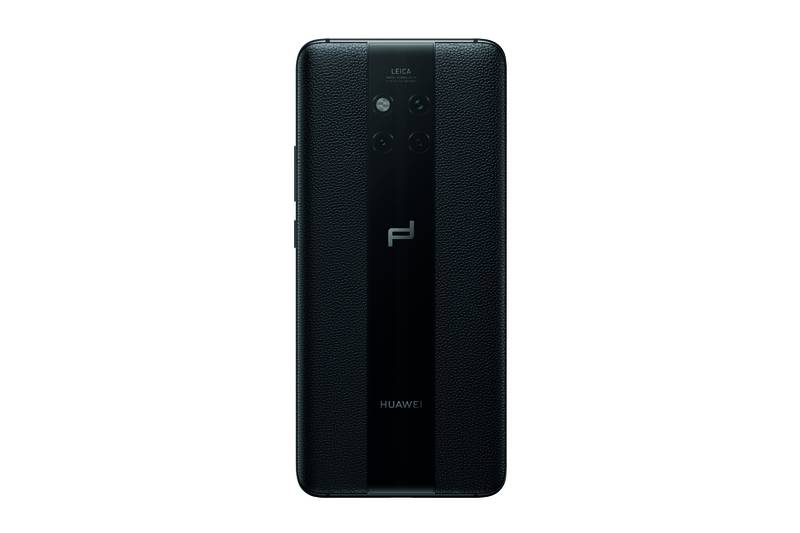 The PORSCHE DESIGN HUAWEI Mate 20 RS houses an industry leading 4200mAh (typical value) battery that supports German TÜV Safe Fast-Charge System Certified 40W HUAWEI SuperCharge technology. Tested relentlessly to the limits by Huawei’s engineers, the battery in PORSCHE DESIGN HUAWEI Mate 20 RS supports more than a full day of intensive use, and can be charged back at unprecedented speeds. Utilizing 40W HUAWEI SuperCharge, users can charge their battery from nil to approximately 70 percent (2940mAh) in 30 minutes. A HUAWEI Wireless Charger supporting 15W HUAWEI Wireless Quick Charge is also available (sold separately). Furthermore, it supports HUAWEI Wireless Reverse Charge, which lets the exclusive device to act as a wireless power bank. According to Huawei’s internal tests. 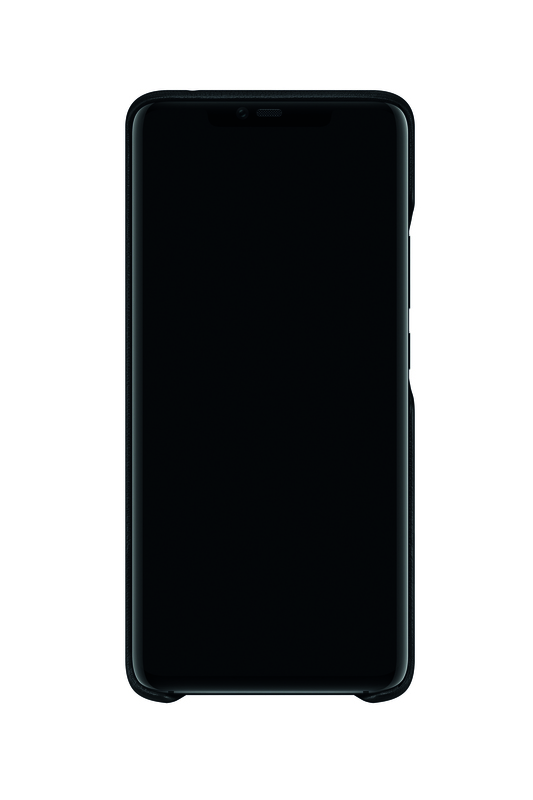 The frontal view of the PORSCHE DESIGN HUAWEI Mate 20 RS is symmetrical. Porsche Design and Huawei have evolved the lower bezel in favor of a larger screen size, providing consumers with even more display space for any work or play usage scenario. 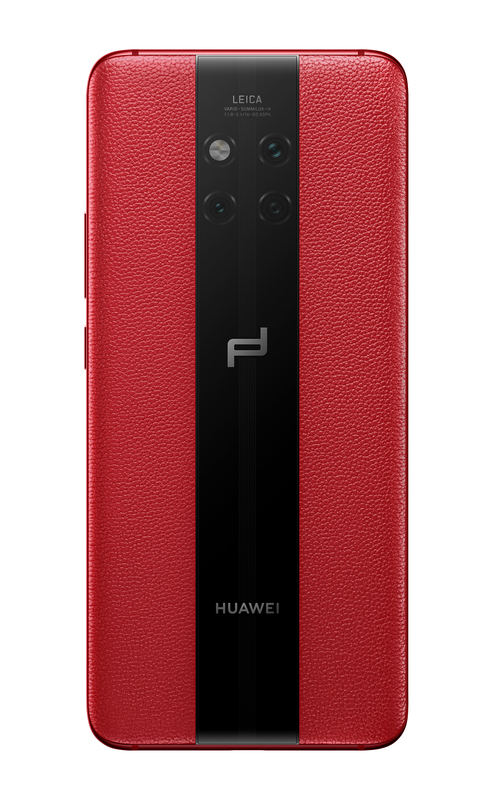 The PORSCHE DESIGN HUAWEI Mate 20 RS comes in a second color version—Red. While the color black represents status, professionalism, simplicity and strength, red is passionate, glamorous and adventurous—the perfect color for those who would like to express their more playful side. Only available in mainland China. A Leather Smart View Flip Case complements the new device. 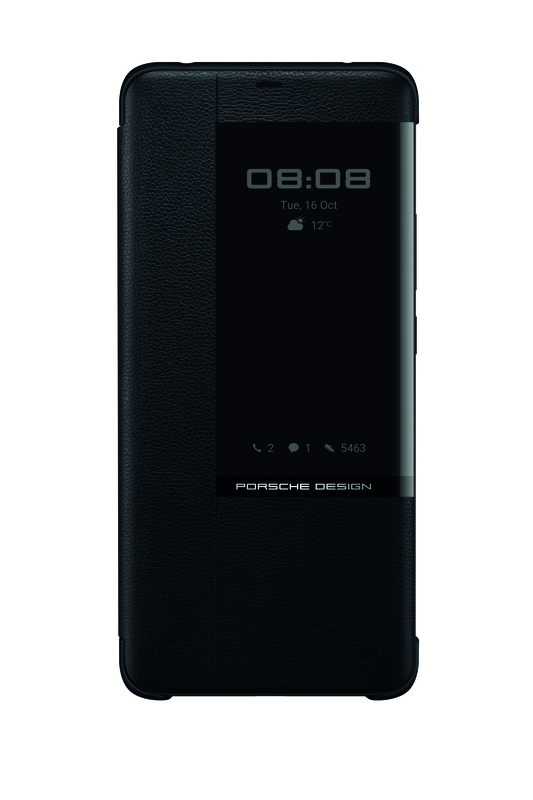 Made of the same natural leather as the back of the device, it offers additional protection to the exquisite handset, while leaving an opening for the FullView display to show information including time and notifications, as well as the Porsche Design logo. 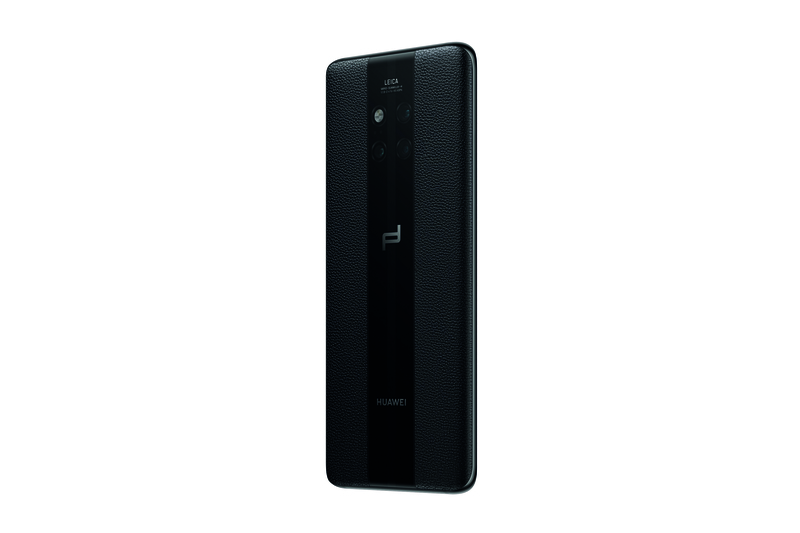 The PORSCHE DESIGN HUAWEI Mate 20 RS epitomizes the passion in cutting-edge technology and design shared by Porsche Design and Huawei. 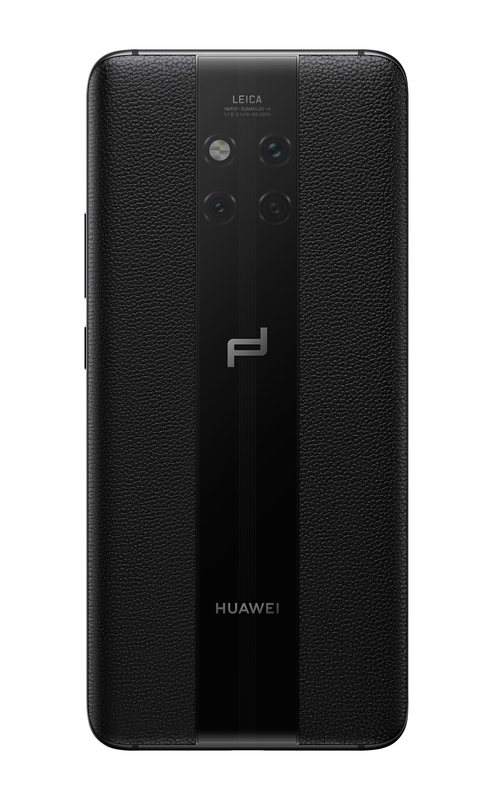 With an inspired design, powerful performance, best-in-class battery technologies and sophisticated biometric identification features, the latest luxury flagship appeals to discerning consumers with a taste for Porsche Design’s signature purist aesthetics and Huawei’s leading technologies. 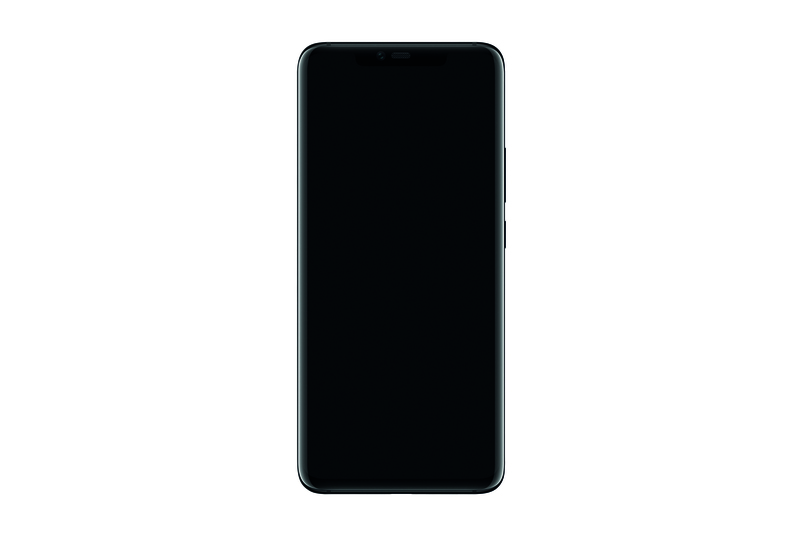 The PORSCHE DESIGN HUAWEI Mate 20 RS (8GB + 256GB configuration) will have a MSRP of EUR 1695, and the PORSCHE DESIGN HUAWEI Mate 20 RS (8GB + 512GB configuration) will have a MSRP of EUR 2095 from 16th November, 2018. The device will also be available in Red as a limited edition in China. In 1963, Professor Ferdinand Alexander Porsche created one of the most iconic design objects in contemporary history: the Porsche 911. Following his vision to take the principles and myth of Porsche beyond the automotive world, he created the exclusive lifestyle brand Porsche Design in 1972. His philosophy and design language can still be seen in all Porsche Design products today. Every Porsche Design product stands for extraordinary precision and perfection, boasts a high level of technological innovation and seamlessly combines intelligent functionality and puristic design. Created by Studio F. A. Porsche in Austria, our products are sold worldwide in over 130 Porsche Design stores, high-end department stores, exclusive specialist retailers and the official online store (www.porsche-design.com).